Sign up via one of the Paypal buttons, below, or email us at secretary[at]rclas[dot]com for other options. The objective of this workshop is simply to provide a number of tools and techniques to the writer, so that they are able to better access and utilize their writing time to produce the work that is important to them. It is all about gaining confidence and self-respect for their own work and process by learning that they are creative in the own way and within their own processes. 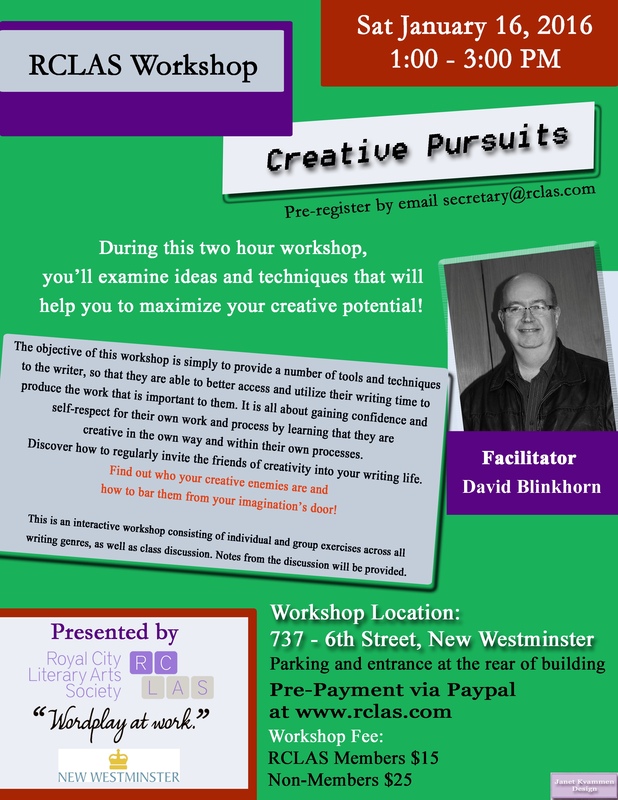 During this two hour workshop, you’ll examine ideas and techniques that will help you to maximize your creative potential. 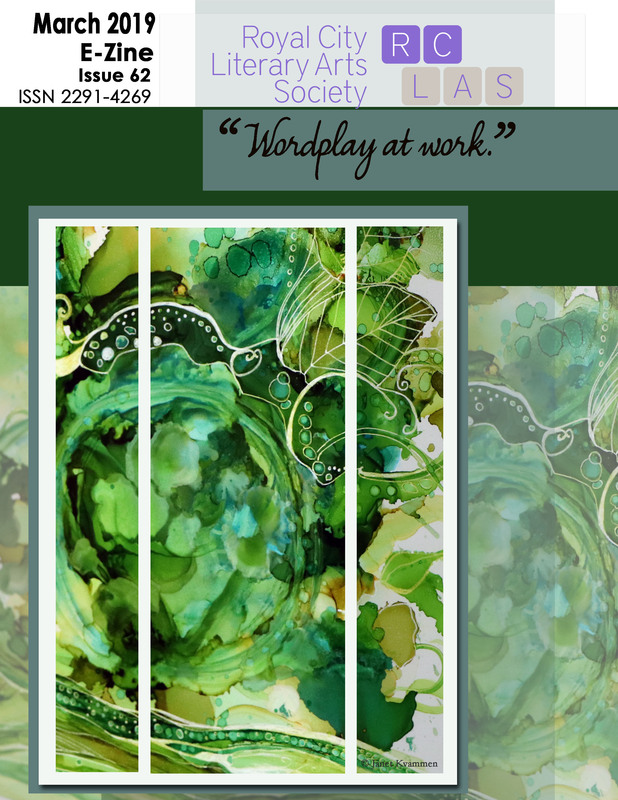 Learn about the basis of your creativity and your unique creative gifts and processes. Discover how to regularly invite the friends of creativity into your writing life. Find out who are the creative enemies are and how to bar them from your imagination’s door. This is an interactive workshop consisting of individual and group exercises across all writing genres, as well as class discussion. Notes from the discussion will be provided. David Blinkhorn is an award-winning poet and writer who resides in New Westminster. A graduate of the SFU’s “Writer’s Studio” (Fiction) in 2011, he is the founder and director of the “Fraser Valley Writers School”, a place of learning the craft of writing for the emerging writer. He is the director of “Brown Bear Publishing”, a fledgling boutique press specializing in artistic books by British Columbia writers. He enjoys a wide variety of interests in his writing and poetry ,as well as travel and hockey. He is presently organizing “Euro2016,” a writing retreat set for November, 2016 in Greece and Italy. He is a member of RCLAS, having provided several workshops in previous years. Posted in Uncategorized, Image format on December 10, 2015 by rclasonline. ← CONCLUDED! Our Annual General Meeting!